Anyone who has ever successfully or unsuccessfully attempted to remove or vary a restrictive covenant will attest that they can be a cumbersome, uninvited addition to a development project. A restrictive covenant is a private agreement between two or more parties which is registered on the Certificate of Title for a parcel(s) of land. They are generally used as a means of controlling the use or development of land. Once registered on Title, the covenant will continue to run with the land and will impose the same constrains upon any subsequent owners of the land. Once registered on Title, land becomes “burdened” by the covenant in favour of a beneficiary(ies). Beneficiaries are effectively the other parties to the agreement. These parties benefit from the restriction within the covenant and can consent to, or frustrate, any attempt to vary or remove it. As covenants predate the current planning apparatus, they were often used as a defacto means of controlling the use or development of land when planning controls were less stringent than they are today. As a result, they are often outdated and are of little relevance in the current environment. Nonethe-less, convents continue to be used today, often in large subdivisions to control the appearance of an area through the form of development which is permitted. If the grant of a permit would authorise anything which would result in a breach of a registered restrictive covenant, the responsible authority must refuse to grant the permit unless a permit has been issued, or a decision made to grant a permit, to allow the removal or variation of the covenant. As a result of this amendment, a property owner who is seeking to develop their land in a manner which is prohibited by a covenant is left with no option but to seek a removal/variation of the covenant. Whilst this can often be an arduous process, if successful, significant financial windfalls can be achieved by unlocking the full development potential of an area of land. 3. via a planning scheme amendment. The characteristics of each of the above options vary substantially. Each option can be expensive and time consuming, with a guarantee of a successful outcome rarely given. For each option, different assessment criteria are required to be considered by the relevant authorities. This four-part article is designed to provide the Victorian building industry with a comprehensive introduction into the above options, and some guidance as to when one may be preferred over the others. Throughout the article we have used real case examples where possible to illustrate and support our assertions. The first option for removing or varying a covenant is via a planning permit application to the municipal council which is responsible for administering the planning scheme in which the property is located. Whilst this option is likely to be less expensive than an application to the Victorian Supreme Court, onerous criteria are imposed by the relevant legislation which must be satisfied before the removal/variation can be consented to. The “planning permit” option was made possible by amendments to the Victorian Planning and Environment Act (1987) which were made in 1991. As a result of the amendment, separate tests are applied to any application for removal/variation dependant upon the date when the relevant covenant was created. as a consequence of the removal or variation of the restriction. Whilst both tests make removal/variation difficult, the reference to “any detriment of any kind including perceived detriment” for covenants created before 25 June 1991 creates a heightened degree of difficulty when compared with the “material detriment test” which applies to covenants created after 25 June 1991. Any loss or detriment argued by beneficiaries must be relevant to the benefit conveyed by the covenant. For example, a beneficiary could not be said to be likely to suffer detriment relating to increased traffic as a result of a neighbouring land owner seeking to remove or vary a covenant which restricts the use of roofing materials. To discharge the burden of the tests imposed by s60(2), the applicant must satisfy the responsible authority (or the Tribunal on review) that the loss or detriment under consideration is unlikely to be suffered, on the balance of probabilities, by any relevant owner. The failure by an applicant to show the unlikelihood of a relevant loss or detriment being suffered by any owner of land benefited will be fatal to the application. In performing the exercise required by s60(2), it may be that planning schemes, policies, provisions, requirements, principles and considerations are relevant, but only insofar as they bear on the unlikelihood (or otherwise) of loss or detriment. It is not a matter of weighing or balancing planning considerations in favour of variation against loss or detriment. If the Tribunal is not satisfied of the unlikelihood of loss within the meaning of s60(2), it must not exercise the power to vary or remove the covenant. The critical principle in overcoming the ‘material detriment test’ is that it is not sufficient to argue that the removal/amendment of the covenant has planning merit or is supported by the relevant planning scheme; rather, it must be positively established that loss or detriment to the beneficiaries is unlikely. 1. It is for the tribunal to determine whether it is satisfied on the balance of probabilities that any covenant beneficiary ‘will be unlikely to suffer any detriment of any kind if the variation is permitted’. In other words, it is not a question of whether the tribunal is satisfied there will be detriment: the tribunal must be affirmatively satisfied that there will be none. 2. Compliance with planning controls does not, of itself, and without more, establish that a covenant beneficiary will be unlikely to suffer any detriment of any kind. Consideration of a proposal from a planning perspective often requires a balancing of competing interests. There is no such balancing exercise involved in the consideration of the issue which arises under para (a). The nature of the enquiry is fundamentally different. 3. The mere assertion of the existence of a detriment is not sufficient to demonstrate its existence. On the other hand, loss of amenity will constitute a detriment and, in this regard, amenity includes ‘an appeal to aesthetic judgment, which is difficult to measure, however the notion of perceived detriment specifically contemplates that this consideration is relevant to the enquiry’. 4. The determination must be made on the evidence before the tribunal ‘including the appeal site and its environs’. 5. It is not necessary for an affected person to assert detriment. This is so for two reasons: first, because the tribunal must be affirmatively satisfied of a negative, namely that there will probably be no detriment of any kind; secondly, the tribunal is entitled to form its own views from the evidence. 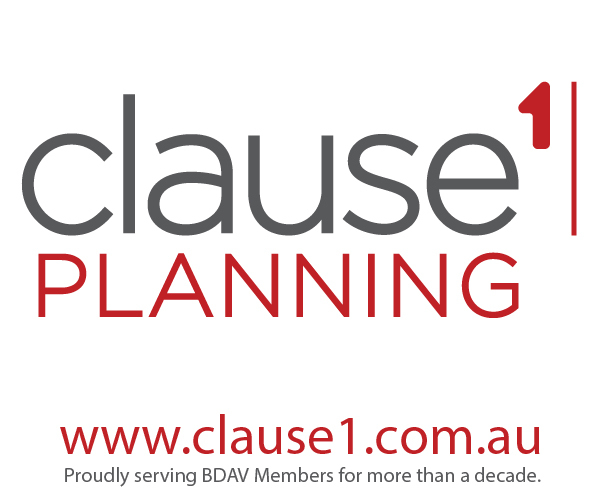 The reference to “perceived detriment” within the Act means that councils often adopt a conservative approach when determining an application to remove or vary a covenant created prior to 25 June 1991. The result is that, where objection(s) are received from beneficiaries following public notification of the application, a refusal will generally follow. Turning to the issue of vexatious objection, or those not made in good faith as raised under Section 60(5)(b) of the Act, again previous VCAT decisions provide a succinct understanding of how this may be interpreted. 104. In the present case, although Mr and Mrs Burnside’s opposition to the proposal is sincere, I find their objection to be “obviously untenable or manifestly groundless” to the point where, in my view, it should be found to be “vexatious” in the third sense defined in Attorney-General for NSW v Wentworth. That is, there was no “real chance or possibility” that the variation would result in detriment to Mr and Mrs Burnside. The possibility of any detriment arising as a result of the matters raised by Mr and Mrs Burnside is, in my opinion, remote, for the reasons set out above. 1. Proceedings are vexatious if they are instituted with the intention of annoying or embarrassing the person against whom they are brought. 2. They are vexatious if they are brought for collateral purposes, and not for the purpose of having the court adjudicate on the issues to which they give rise. 3. They are also properly to be regarded as vexatious if, irrespective of the motive of the litigant, they are so obviously untenable or manifestly groundless as to be utterly hopeless. A permit applicant should not necessarily be disheartened by a council’s refusal to support a covenant removal/variation, as the decision is subject to the same appeal rights to VCAT as any other planning permit application. While the same criteria identified above is used by VCAT in assessing an appeal, previous decisions handed down by the Tribunal have generally inferred a less conservative approach to the “perceived detriment test” than adopted by councils. This should not, however, be taken to imply that there is a relaxing of the onerous guidelines for applicants upon appeal. It must also be noted that, in instances where no objections are received, councils are still required under Section 60(5) or Section 60(2) to consider the interests of beneficiaries to the covenant. It is the same for appeals to VCAT where no beneficiaries have elected to be joined to proceedings. In both situations, councils and/or VCAT must be convinced that any beneficiary will not suffer detriment of any kind as a result of the removal/variation. The assertion of “perceived” or “material” detriment which result from an application to remove/vary a convent can only be made by beneficiaries to the covenant. The result is that the impact on other parties (including direct neighbours) who are not beneficiaries are therefore not a relevant consideration. Furthermore objections raised by beneficiaries which are substantially removed from the subject site have often been afforded reduced weight in VCAT proceedings due to their tenuously claims of detriment. The wording of a covenant is also an import consideration when understanding assertions of detriment by beneficiaries. An application to remove/vary a convent should not be taken as an opportunity to lodge frivolous objections in an attempt to stifle the application. Instead they should be confined to considerations involving the “intention” of the covenant. 37. […] the detriments listed do not relate to the way in which a second dwelling on the land may face. No objection appears to refer to this. The detriments are expressed as consequences of the construction of a second dwelling on the land, for instance, increased traffic, future sealing of road, loss of views, loss of neighbourhood character, and overshadowing, but the covenant does not prohibit that. The covenant only regulates the way in which any principal dwelling on the lands must face. I find the detriments and perceived detriments would not be suffered as a consequence of the variation of the covenant and, therefore, the variation is not prevented by Section 60(5) of the Act. Sections 52 and 55 do not apply to an application for a permit to remove a restriction (within the meaning of the Subdivision Act 1988) over land if the land has been used or developed for more than two years before the date of the application in a manner which would have been lawful under this Act but for the existence of the restriction. Sections 52 and 55 identified above refer to public notification of an application and the need to refer it to all relevant land authorities identified within the planning scheme. The provisions of Section 47(2) effectively provide an “administerial” means of removing/varying a covenant whereby the need to involve other parties can be circumvented and the process expedited. In the next instalment of this article we will look at the tests and processes associated with removing/varying a restrictive covenant via a planning scheme amendment.